Here are a few dials you can turn to get Google Docs, Sheets, and Slides to perform a little more closely to their Office counterparts. As much as I love Google Docs, I’ve come to accept it’s still largely a Microsoft Office world. So many businesses still run on Office, particularly with an Office 365 subscription as a popular choice for all of one’s cloud storage needs. 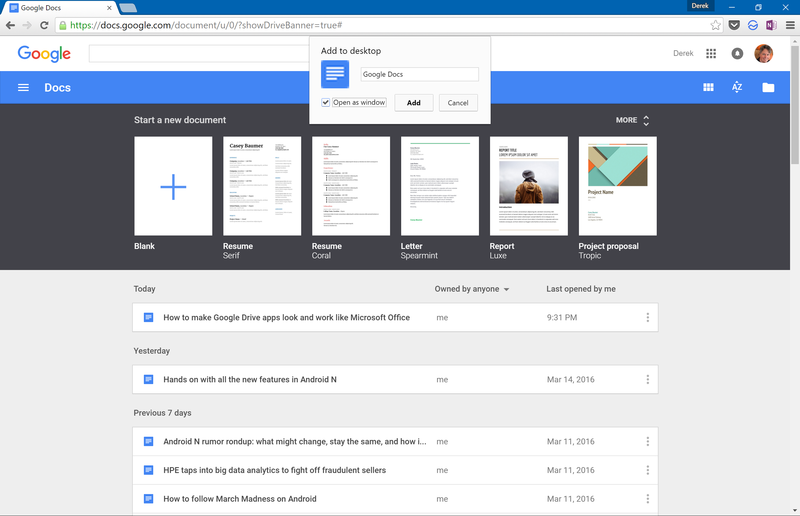 If you’re in the same boat, inhale a couple of times and take heart from knowing that you don’t have to abandon the ease and save-as-you-type convenience of Google Docs, Sheets, and Slides for Microsoft’s Office suite. By changing up some of the default settings, and making other adjustments, you can get Google Docs to look and work more like Word, which will take much of the pain out of converting files to Microsoft formatting to share with others who live in and expect others to use Office. 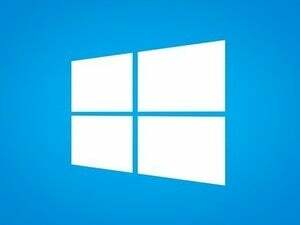 If you also set up your apps to save your work offline and make a couple of other adjustments you’ll ensure that your files don’t need numerous formatting or conversion tweaks when shared with Office users. 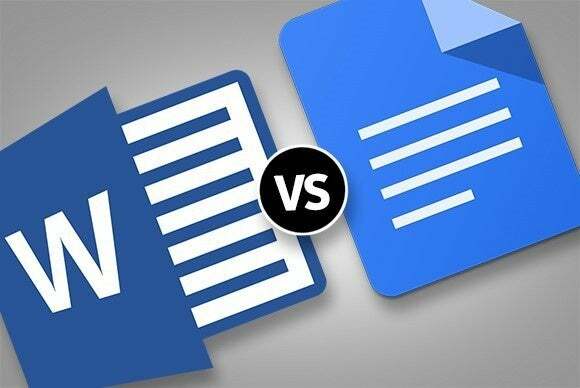 Something that will greatly improve your compatibility when exchanging files with Word, is to change the default fonts to those that match Microsoft’s word processor..
It’s unfortunate that this isn’t the case already, but it’s a rather easy fix. In Docs, you want to change the “Normal” font to Calibri, font size 11-pt. (Word uses Calibri Light, but this is the closest we can get for now). To do this, highlight text and click the Styles toggle. Click the arrow next to Normal Text and select Update ‘Normal text’ to match. 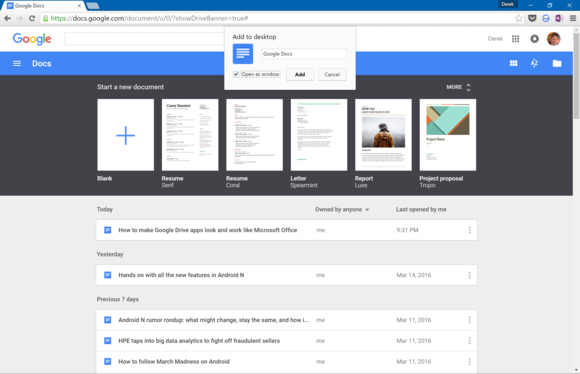 Make Google Docs look more like Microsoft Word. I’ve found it’s useful to do the same for Heading One and Heading Two, which are Calibri 16 and 13, respectively. 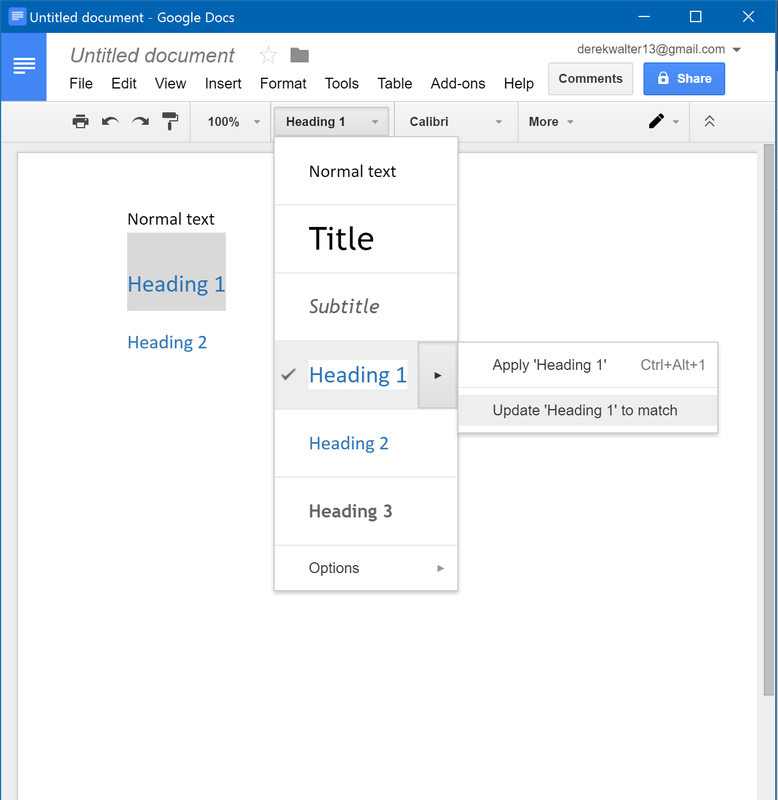 If there’s another font or menu style you use regularly, you can use Google Docs’ ability to change the default to make that match with Word. One other matter to keep in mind with Google Docs. When you download it to share with others, you need to use File > Convert to ensure it’s fully compliant with all of Word’s features. Not doing this isn’t likely to cause any major issues, but it’s always nice to be on the safe side. With Slides, one good practice is to build your file in PowerPoint if you know that you’re going to be sharing it with others who also use Office. That’s because PowerPoint has a number of proprietary styles and themes. However, they tend to transfer over nearly the same into Slides. So do your work with PowerPoint and if you need to embed the file online or use other Slide features, the file will be consistent with Microsoft’s design. 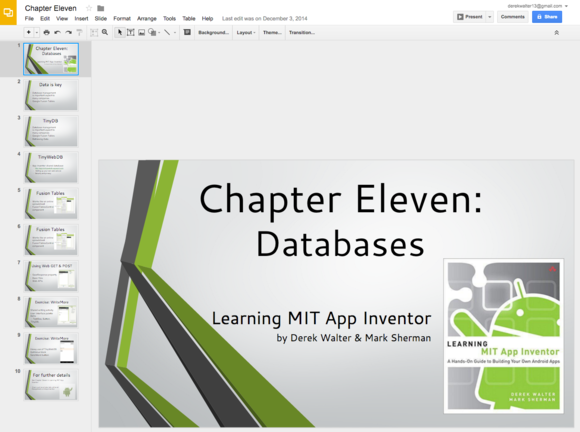 When you import a file from PowerPoint to Google Slides, much of the formatting remains intact. With Sheets, the main thing to keep in mind is that Excel offers many different plugins and tools for analyzing data that work differently from Google’s offering. Sheets is still tops for collaborative work, but Excel still might be required for deeper data analysis. One advantage to using Google Docs on Windows is the ability to make each app run in its own window, just as if it were a proper Windows app. This makes it faster to multitask and to remain focused on one application, instead of juggling one of several crowded Chrome tabs. 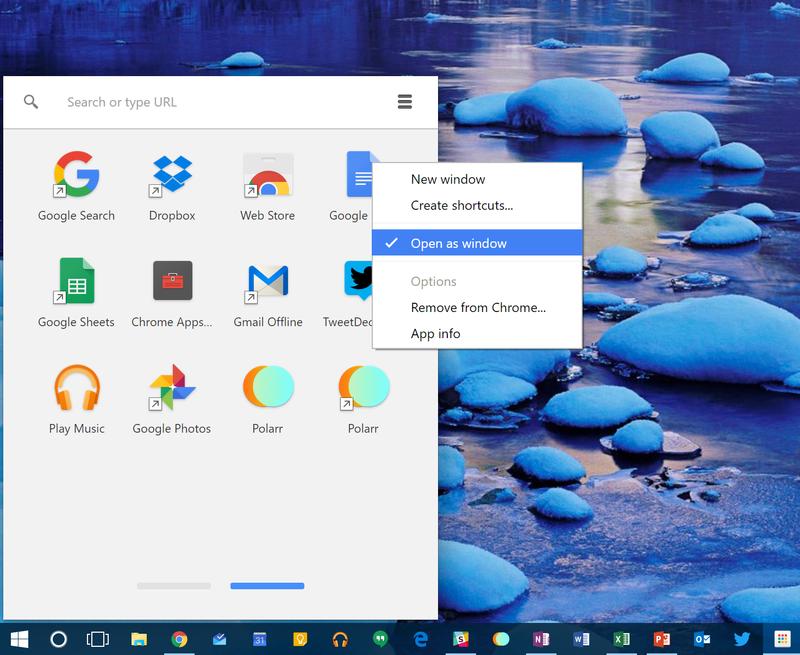 To do this, open the Chrome app launcher. If it’s not pinned to your taskbar, the fastest way to find it is to search for it: Click the Windows button and start typing Chrome app launcher. Open a Chrome app as a window so it feels more like a native Windows application. 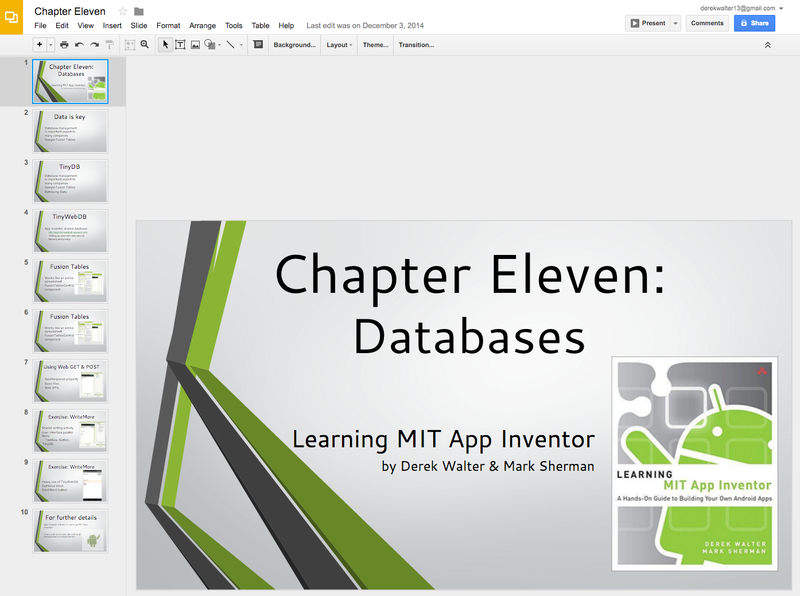 Then, right-click on Docs, Sheets, or Slides and select Open as Window. When you open the app, you’ll see that it resides inside its own Chrome window instead of being one of your million tabs. Save a Chrome app for use in a separate window. Once you’ve opened it, right-click the icon on the Windows taskbar and select Pin to Taskbar. Now it’s always at the ready, just one click away. Unless you live in an Internet fantasy world with ubiquitous LTE or Wi-Fi, there’s bound to be some times when you don’t have Internet access. There’s an adage about things happening in threes, and it always seems to always occur with connectivity: The hotel network will go down while you’re in a building that blocks your wireless carrier’s coverage. The highlighted area is what you need to pay attention to for getting your files to save offline. So you want your Drive apps to be ready for offline work, just like Office will always be at the ready even if you’re offline. 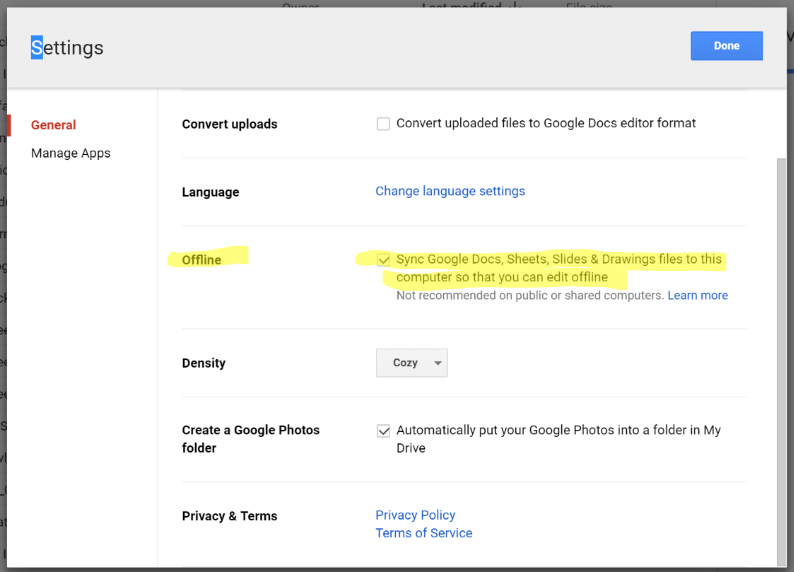 To do this, in Google Drive go to Settings > Offline. This will sync your work to your PC’s hard drive so that if you’re without Internet access you’ll be able to keep working. Same goes if you’re in a document but the connection drops. You’ll see the persistent All changes saved in Drive notification change to All changes saved offline.